Clinicians, researchers & engineers working together to advance healthcare. Dr Andrew Rule is a Professor of Medicine and consultant in the Division of Nephrology & Hypertension at the Mayo Clinic. He completed his clinical and research training at the Mayo Graduate School of Medicine and Mayo Clinic College of Medicine. His research of is focused on the epidemiology of chronic kidney disease as well as the epidemiology of kidney stones, including characterization of their risk factors and adverse outcomes. Dr. Cheung obtained his Medical Degree in 1999 at the University of Toronto. 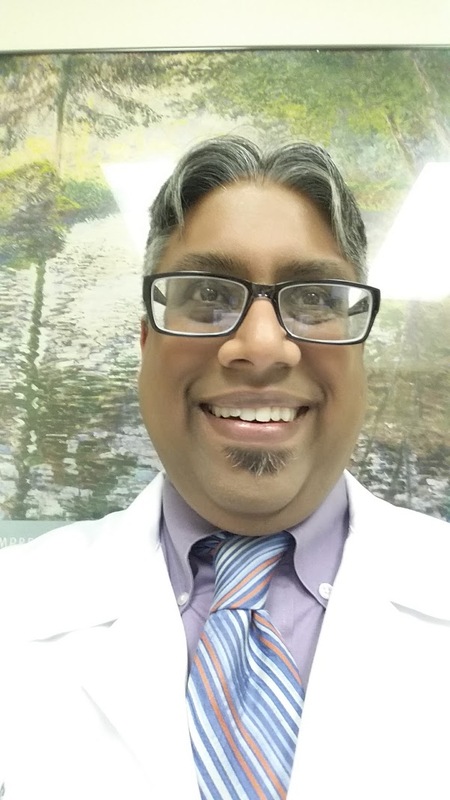 He completed residency programs in Internal Medicine and Hematology from 1999-2004 at the University of Toronto. Thereafter, he completed a clinical and research fellowship in Lymphoma and a Canadian Institutes of Health Research (CIHR) HIV/AIDS post-doctoral research fellowship. In 2006, he obtained a Masters degree in Clinical Epidemiology at the Harvard School of Public Health in Boston. He currently holds peer- reviewed grant support from CIHR, the National Cancer Institute of Canada, and the Canadian Foundation for AIDS Research (CANFAR). 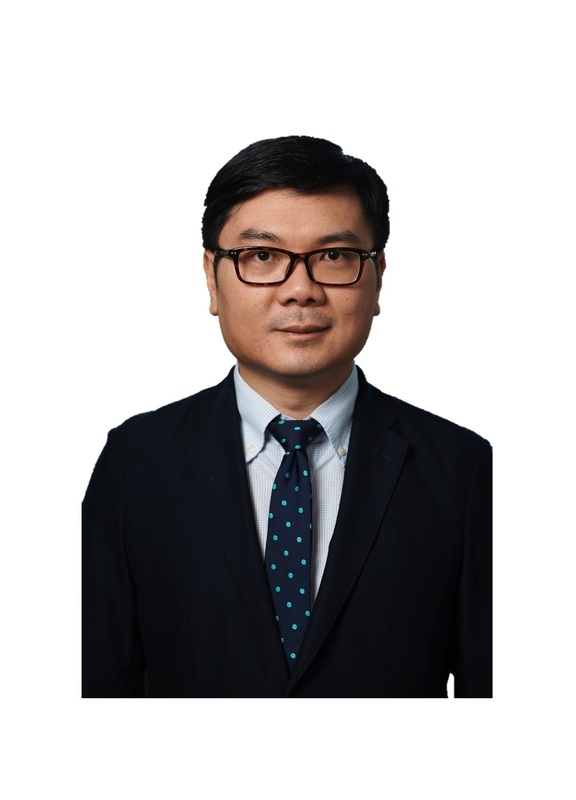 Dr. Cheung joined the medical staff at the Odette Cancer Centre/Sunnybrook Health Sciences Centre as a Clinician-Investigator and Clinical Hematologist in 2007. He is currently an Associate Professor in the Department of Medicine at the University of Toronto. 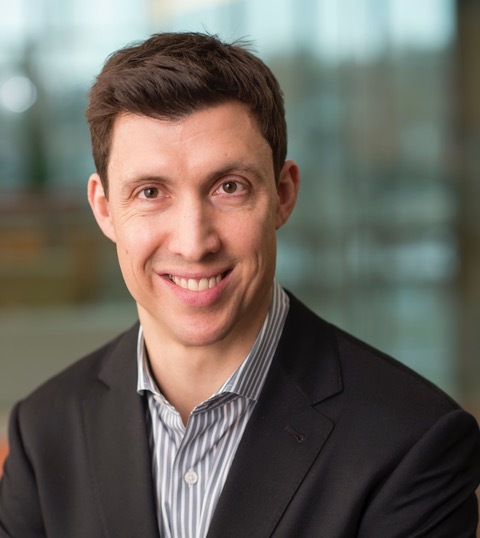 He serves on the Hematology Disease Site Executive Committee for the National Cancer Institute of Canada Clinical Trials Group and is the co-Chair of the Hematology Cancer Disease Site Group of the Cancer Care Ontario Program in Evidence-Based Care. 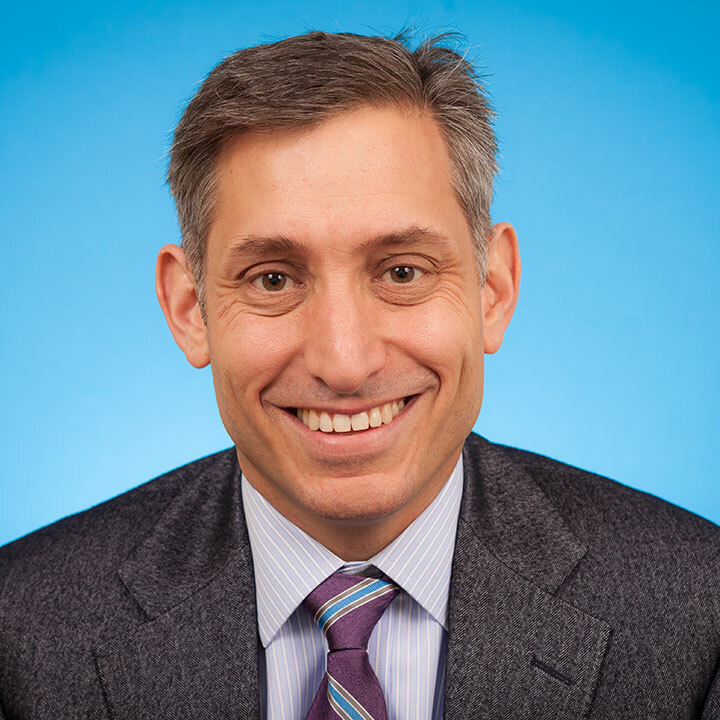 His research interests include clinical trial development in lymphoma, economic evaluations in clinical trials, and health outcomes research in the hematologic malignancies. 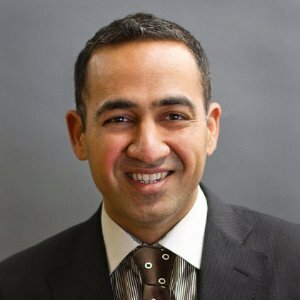 Dr. Tangri is a medical researcher in the Chronic Disease Innovation Center at Seven Oaks General Hospital and an associate professor in the University of Manitoba Faculty of Medicine. His research program focuses on improving clinical decision making for patients with advanced CKD. Dr. Tangri has published more than 100 papers and presented at multiple national and international scientific meetings. He serves on the editorial board of the American Journal of Kidney Disease and the Canadian Journal of Kidney Health and Disease, and is Section Editor for the Epidemiology and Prevention Issue of Current Opinion in Nephrology and Hypertension. He has active grants from the Canadian Institute of Health Research, the Kidney Foundation of Canada, and the Manitoba Health Research Council. As a practicing nephrologist I have been motivated to strive to decrease the suffering of my patients with ESRD. These patients have been shown to have a symptom burden and mortality rate higher than most cancer patients. We are also treating an increasingly elderly and ill group of patients with a high co-morbidity burden. These facts demand a multi-track approach to their care, aggressive attempts to improve QOL and decrease mortality while recognizing that many of these patients may not benefit from dialysis and require aggressive palliative care either with or without dialysis support. Through ours and others research we realize that rigorous clinical research is needed to investigate the best way to accomplish this. Building on our prior research we have just completed a larger multicenter RCT supported by PCORI, using our validated 6 month mortality predictor tool with the surprise question (“Would you be surprised if the patient died in the next 6 months?”) and a practical communication tool. The study is designed to determine if we can improve the use of palliative care and hospice services in a highest risk cohort for which these services would be appropriate. We have completed a 3 year multicenter study as part of an integrative predicative model in non-dialysis CKD patients. We have begun two projects to help enhance shared decision making in our patients. One is use of a video education tool developed by Dr. Volandes, the second is a Donahue Foundation grant using a “navigator” to work with our patients on advanced care planning. 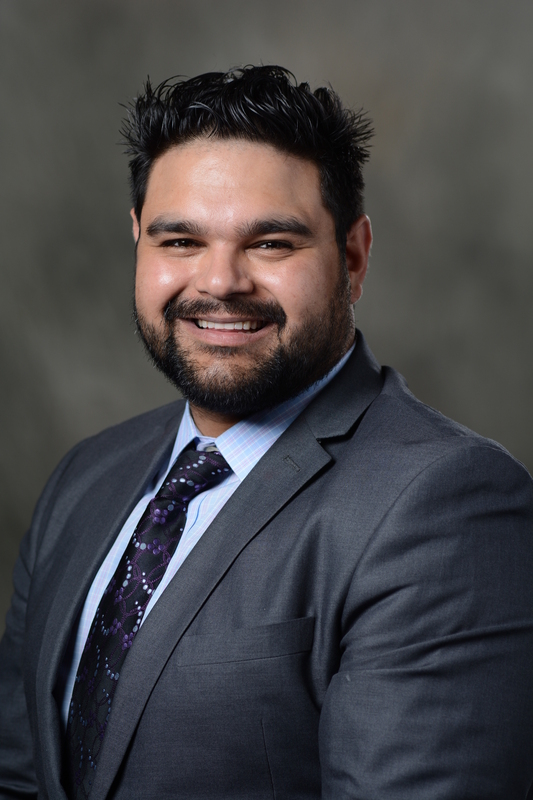 Before joining the faculty at the University of British Columbia, Dr. Andrade received a BSc from McMaster University, and an MD from the University of Ottawa. He then completed an Internal Medicine residency and Cardiology fellowship training at the University of British Columbia before embarking on a clinical and research fellowship in Cardiac Electrophysiology at the Montreal Heart Institute. He is now Clinical Assistant Professor at the University of British Columbia , director of the Atrial Fibrillation Clinic, and focusses clinically in Electrodiagnostics and Cardiac Electrophysiology. Erica Tsang is a medical resident at the University of British Columbia. Her interests include internal medicine, medical oncology, medical education, public health, and working with marginalized populations. 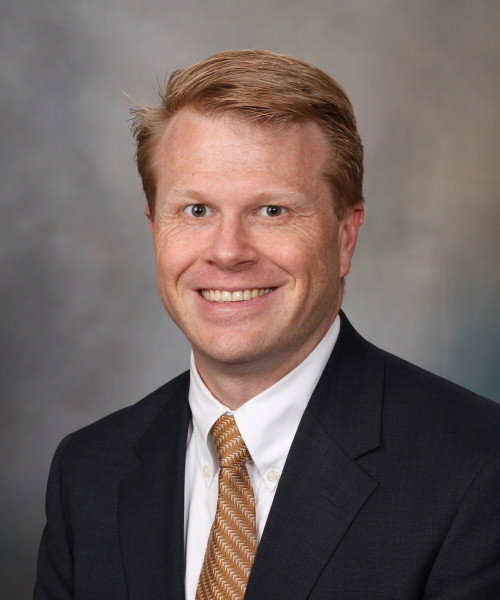 Dr Shanafelt is a consultant in the Division of Hematology at the Mayo Clinic and holds the academic rank of Professor of Medicine and Professor of Medical Education. His clinical and scientific interests are focused on the treatment of patients with chronic lymphocytic leukemia (CLL). 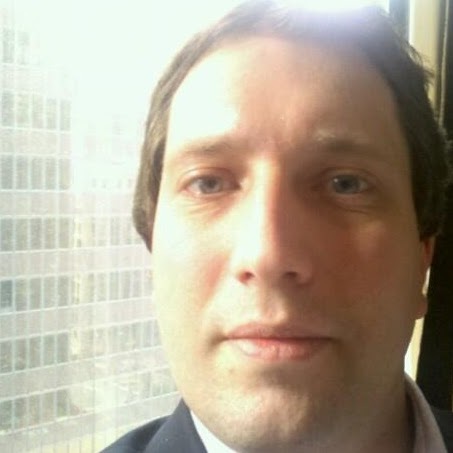 He is currently the principle investigator on multiple clinical trials testing new treatments for patients with CLL as well as being involved in the design and conduct of CLL trials for the Eastern Cooperative Oncology Group. Dr. Shanafelt’s other academic interest is physician well-being and its impact on patient care. 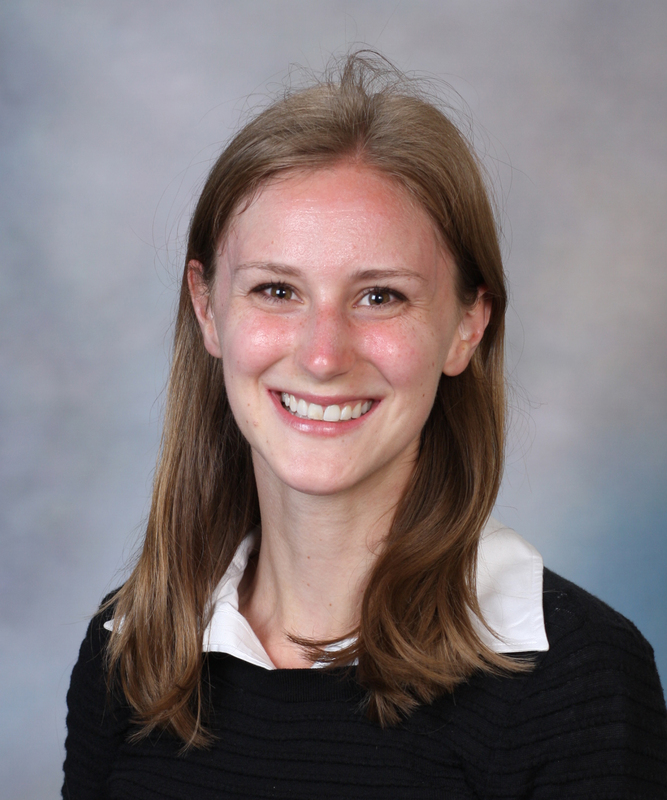 Caroline Just is currently nearing the end of her residency training in Neurology at Western University, where she has previous served as Chief Resident and is currently the Site Chair for the Professional Association of Residents of Ontario. 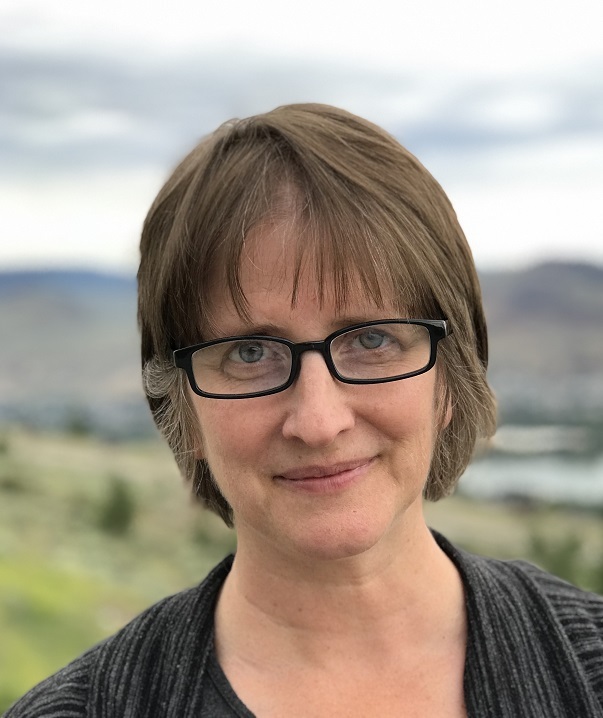 She has published in the Canadian Journal of Neurological Sciences, Twin Research and Human Genetics, and Personality and Individual Differences. She was born in Montreal and grew up north of Toronto. She studied psychology and neuroscience in her undergraduate degree at Western University in London, Ontario, and then got her M.D. from McMaster University. She is passionate about utilizing technology to streamline the practice of medicine, and so she is thrilled about joining the QxMD team. She currently lives in London, Ontario with her two cats and husband, in that order. Ron Wald is a nephrologist and Associate Professor of Medicine at the University of Toronto. He completed his undergraduate and medical degrees at McGill University and clinical training in internal medicine and nephrology at the University of Toronto. This was followed by a Master in Public Health at Harvard University and a research fellowship at Tufts Medical Center in Boston. Since joining the St. Michael’s Hospital Division of Nephrology in 2006, Dr. Wald has been responsible for the hospital’s acute dialysis program. Dr. Wald’s research interests are in the areas of critical care nephrology and chronic dialysis. He is currently leading a Canadian Institutes of Health Research-funded international trial on the impact of the timing of dialysis initiation on survival in critically ill patients with acute kidney injury. 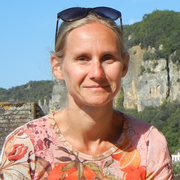 Cécile Couchoud graduated from University of Lyon as a medical doctor and nephrologist in 1991 and as epidemiologist in 1998. She completed her PhD in 2014 and was qualified to supervise research in 2015. She is working for the French end-stage renal disease registry since 2003. Currently Dr. Couchoud is specializing in renal epidemiology. 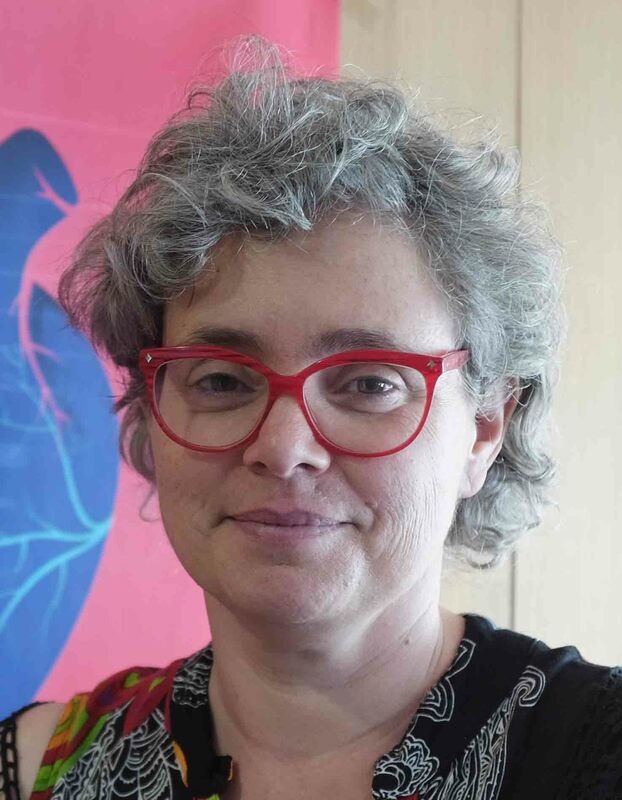 Her research interests include development of statistical models to simulate the trajectory of the patients with renal replacement therapy to be able to assess the impact of strategy modifications on health care supply and estimate the individual benefit of those treatments. Dr. Moss is a Professor of Medicine in the Sections of Nephrology and Supportive Care at the West Virginia University School of Medicine. He serves as Chair of the Coalition for Supportive Care of Kidney Patients. He led the writing of the first and second editions of the clinical practice guideline, Shared Decision-Making in the Appropriate Initiation of and Withdrawal from Dialysis. He received the Distinguished Service Award from the Renal Physicians Association in 2011 and the Medal of Excellence Award from the American Association of Kidney Patients in 2015. He is a co-principal investigator on a grant funded by the Moore Foundation to integrate supportive care into the treatment of advanced CKD and ESRD patients. His research interests include dialysis ethics and improving care at the end of life. 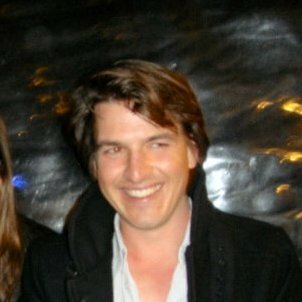 He is a graduate of Harvard University and the University of Pennsylvania School of Medicine. He and his wife Marlene have six children and 15 grandchildren. Dr Backus developed the HEART score to risk stratify patients with chest pain presenting to the ER while obtaining her PhD. She is currently completing her residency in emergency medicine at Medisch Centrum Haaglanden in The Hague, Netherlands. 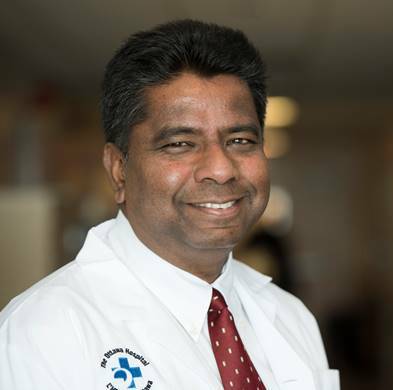 Dr. Venkatesh Thiruganasambandamoorthy is an Associate Professor in the Departments of Emergency Medicine and Epidemiology at the University of Ottawa as well a Scientist at the Ottawa Hospital Research Institute. He completed his Master’s in Epidemiology in addition to a Research Fellowship, and mentors Master’s and postdoctoral students. He has established one of the largest programs on ED syncope and presyncope. He has achieved international recognition in syncope and presyncope research and is a founding member of the Canadian Syncope Alliance, a national collaboration aiming to improve syncope care in Canada. Dr. Barreto received her doctoral-level degree from Drake University and thereafter completed her pharmacy practice and critical care pharmacy specialty residencies. 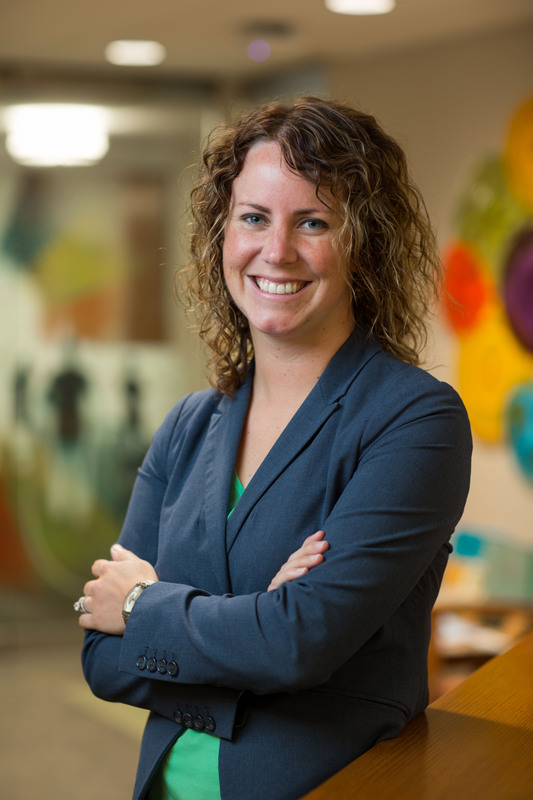 When she joined the staff as a critical care clinical pharmacist, she established herself as a core member of the interdisciplinary team through the provision of high-level patient care and service to the critical care practice of Mayo Clinic. She holds the rank of Assistant Professor of Medicine and Pharmacy and maintains advanced certifications in both Pharmacotherapy and Critical Care Pharmacy. She is a leader in critical care pharmacy practice and is actively involved in the American College of Clinical Pharmacy and the Society of Critical Care Medicine. Dr. Barreto’s research efforts are directed to application of non-creatinine based approaches to assessment of renal function in the ICU to improve medication dosing and monitoring. Dr. Cox is a fellowship-trained otologist and a diplomate of the American Board of Otolaryngology – Head and Neck Surgery. As a physician with the Florida Otolaryngology Group, P.A. His practice focuses on otology and neurotology, with expertise in the management of chronic otitis media, cholesteatoma, disorders of the tympanic membrane and ossicles, Ménière’s disease, and all types of hearing loss. 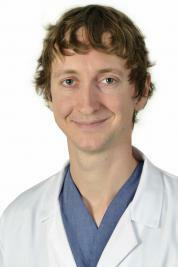 Dr. Cox attended the Florida State University College of Medicine for his medical doctorate and residency training in the Department of Otolaryngology – Head and Neck Surgery at the University of Arkansas for Medical Sciences, where he also went on to complete his fellowship training in otology and neurotology under the mentorship of Dr. John L. Dornhoffer. Dr Gupta is an Assistant Professor and vascular surgeon at University of Tennessee Health Science Center and Methodist Healthcare in Memphis, TN. He has published more than 50 peer-reviewed papers and presented at multiple national and international scientific meetings. He is a reviewer for multiple journals. 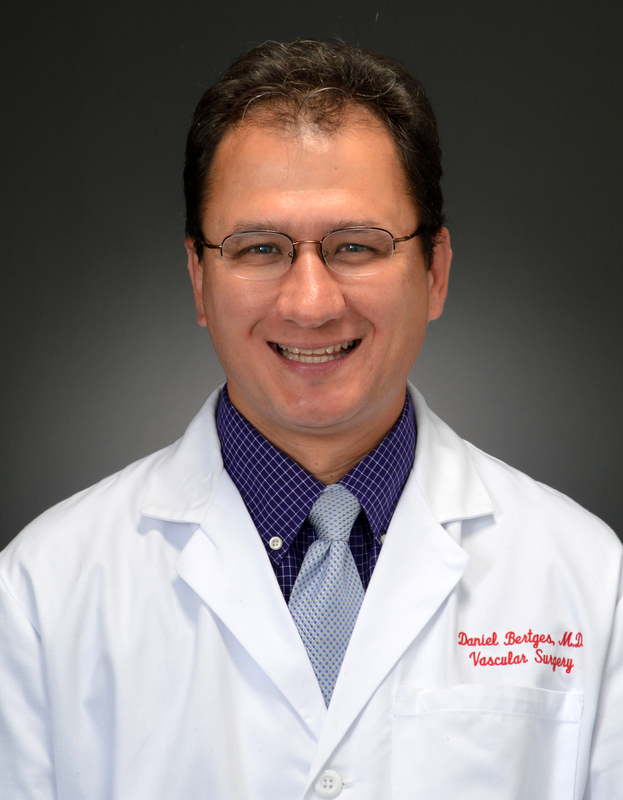 He practices all aspects of vascular surgery with particular interest in aortic aneurysms and endovascular treatment of peripheral arterial disease. 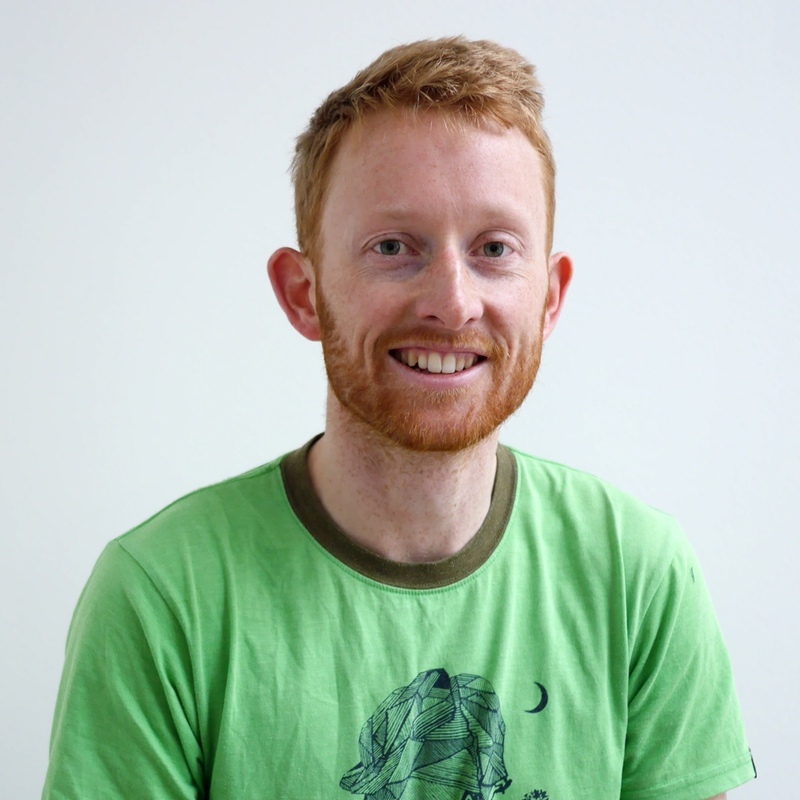 James Yeates is a consultant anaesthetist at St Vincent’s Hospital in Sydney and doctoral research candidate at the University of Cambridge, where he also completed his fellowship in cardio-thoracic anaesthesia and critical care. He is a fellow of the Australian and New Zealand College of Anaesthetists. He obtained his MBBS from the University of New South Wales, and also completed a Masters of Public Health and Tropical Medicine. 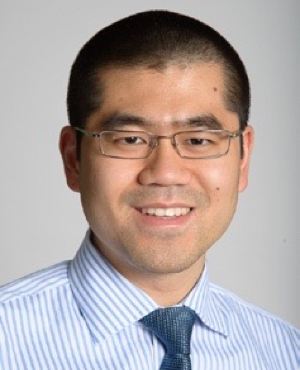 Dr. Matthew Chow is a child and adolescent psychiatrist in private practice in the Vancouver area. He holds senior administrative and political appointments with the Doctors of BC and the BC Ministry of Health. 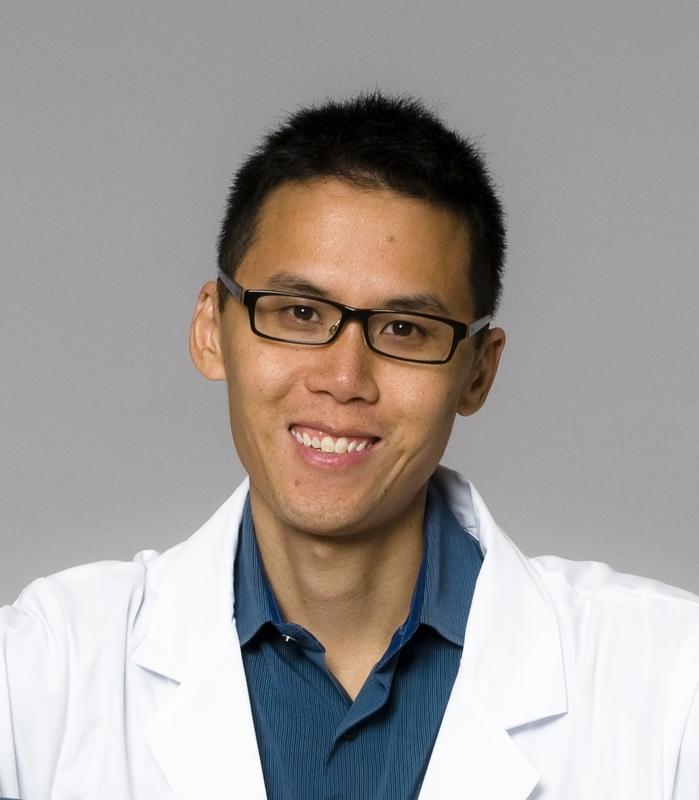 Dr. Chow’s areas of interest include early treatment of childhood mental illness, the efficient distribution of healthcare resources, and the use of technology to enhance medical care. Dr. Micheli Bevilacqua is a specialist physician in internal medicine and nephrology with additional training in health administration. His clinical nephrology practice is based in Fraser Health and the rest of his time is spent with the British Columbia Provincial Renal Agency which oversees the care delivery for all patients with kidney disease in the province. He is the Medical Lead for Polycystic Kidney Disease with the Provincial Renal Agency where he directs provincial level initiatives to optimize treatment of PKD in BC, as well as other initiatives such as improving the delivery and support of home dialysis therapies. 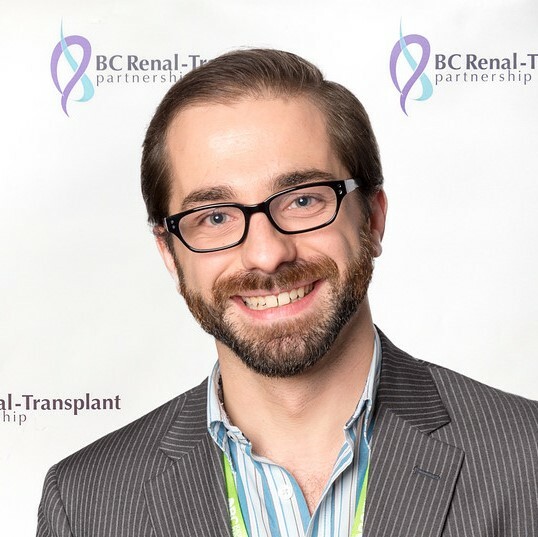 When not doing clinical work or at the Renal Agency, Dr. Bevilacqua is involved in research with specific interests in knowledge translation and evaluating care delivery and is also actively involved in the teaching of undergraduate students at the University of British Columbia medical school. Dr Ziad Zoghby is an Assistant Professor of Medicine and consultant in the Division of Nephrology & Hypertension at the Mayo Clinic. He obtained his Medical Degree in 2000 at the Université Saint-Joseph in Beirut, Lebanon. 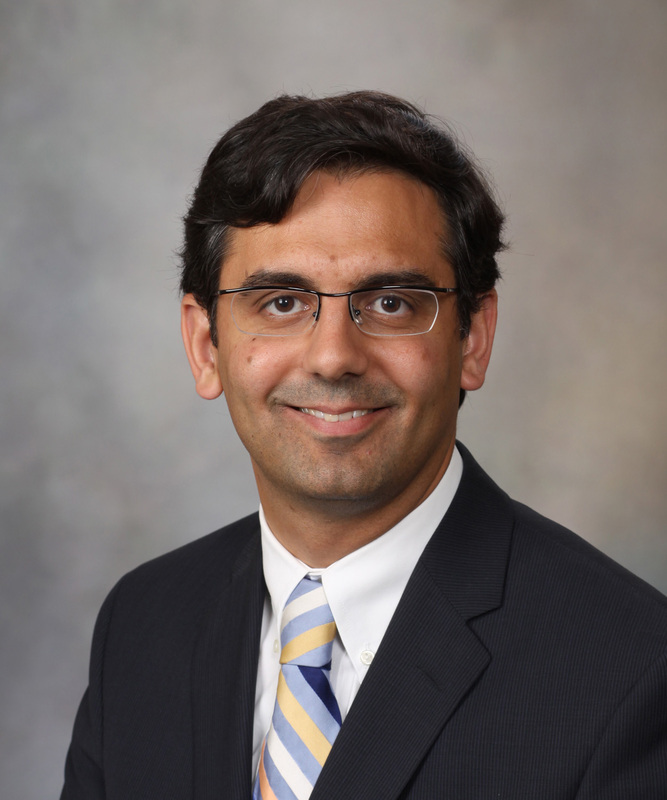 He completed a residency program in Internal Medicine at the University of Minnesota from 2002-2006 and thereafter, a Nephrology fellowship from 2006-2009. His clinical and research efforts and interests have included acute kidney injury, polycystic kidney diseases and transplantation. Dr. Cronenwett is Professor of Surgery and The Dartmouth Institute for Health Policy and Clinical Practice at Dartmouth-Hitchcock Medical Center. 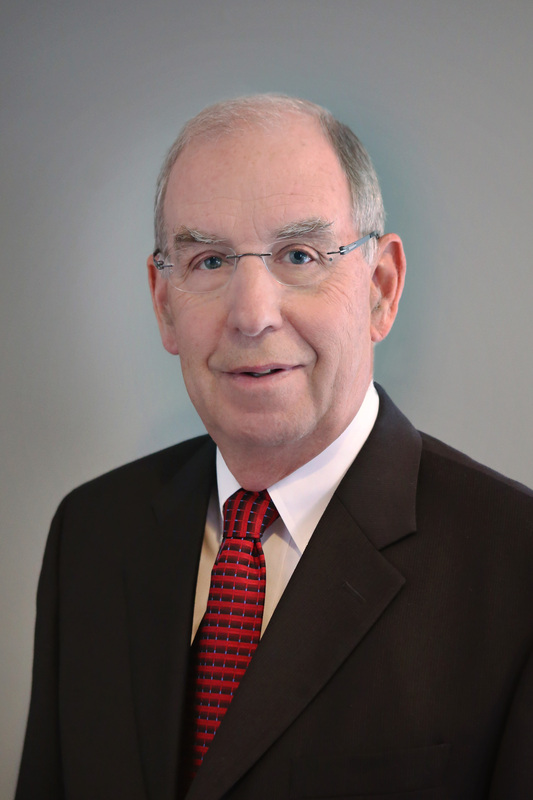 He has served as President of the Society for Vascular Surgery, Editor of the Journal of Vascular Surgery and Rutherford’s Vascular Surgery Textbook and Medical Director of the Vascular Quality Initiative, a consortium of >400 hospitals organized into 18 regional quality improvement groups that share clinical data to improve vascular healthcare. In 2017, Dr. Cronenwett also took on the role of Chief Medical Officer for Medstreaming/M2S which provide informatics support to registries and physicians. 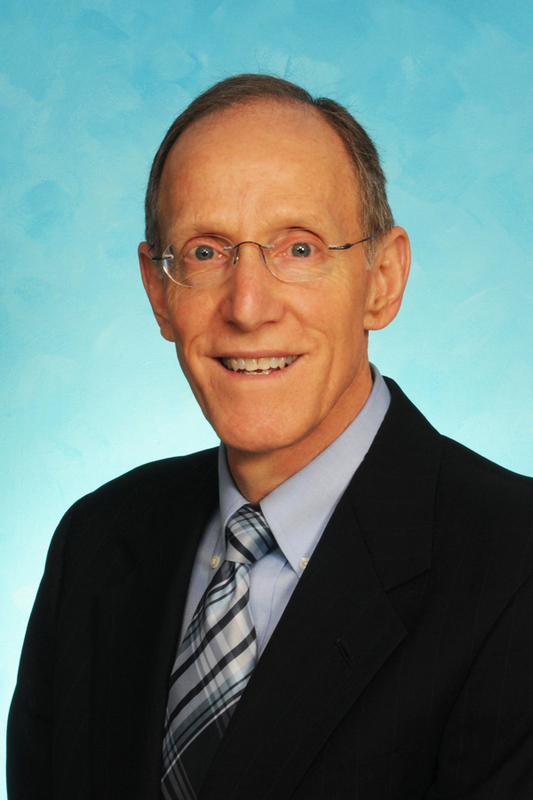 Dr. Cronenwett is listed in “Who’s Who in America,” “Who’s Who in Medicine and Healthcare,” “Who’s Who in American Education,” and “The Best Doctors in America.” He has published over 300 peer-reviewed articles, books and book chapters, and delivered more than 400 scientific presentations. In 2016 he received the Lifetime Achievement Award of the Society for Vascular Surgery. 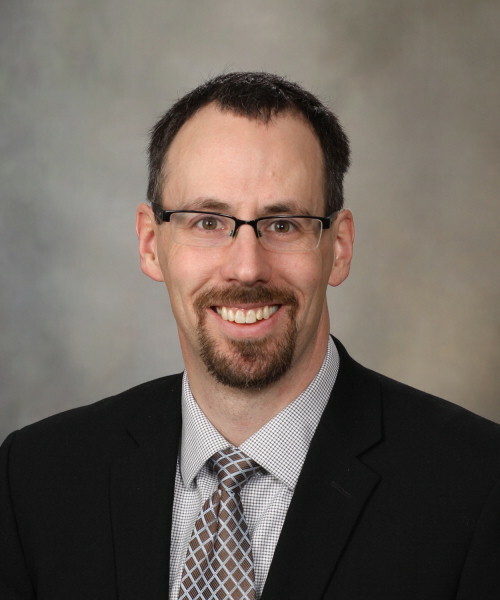 Matt Maurer is an Assistant Professor of Biostatistics and Assistant Professor of Medicine at the Mayo Clinic. 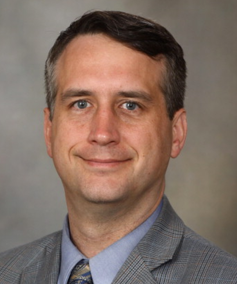 He collaborates with the team at the Mayo Clinic Cancer Center and is a member of the Biostatistics Core for two Specialized Programs of Research Excellence (SPORE). 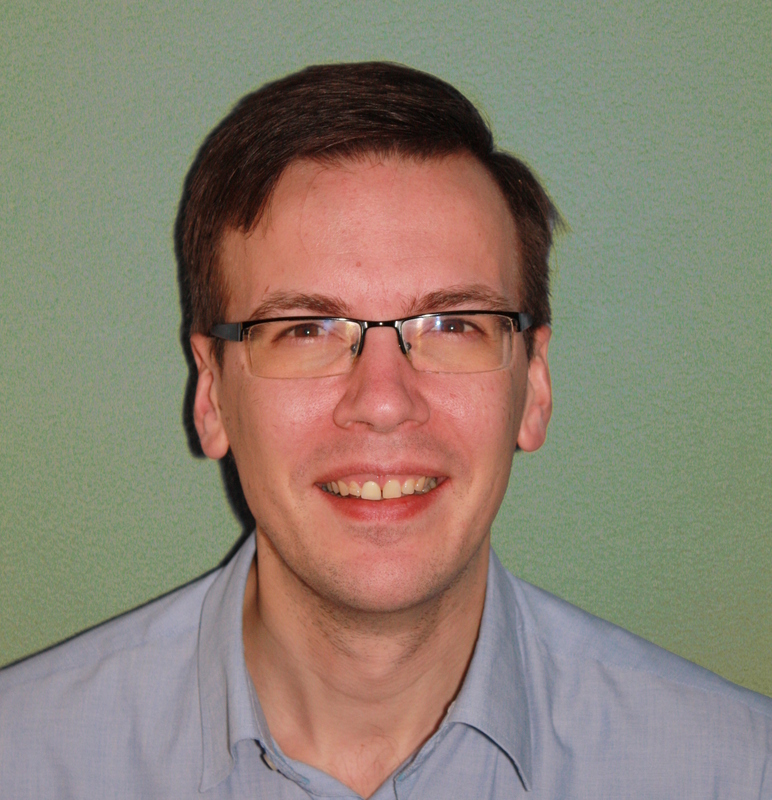 Pavel Roshanov is a resident in Internal Medicine at McMaster University, Hamilton, Ontario. He completed medical school at the Schulich School of Medicine and Dentistry, Western University, London, Ontario. He holds a Master’s degree in Clinical Epidemiology from McMaster University and is in the final stages of defending his Ph.D. in the same discipline. His research interest is in clinical risk prediction and medical informatics with a content focus in perioperative medicine. Dr. Laksman is a cardiac electrophysiologist at St. Paul’s Hospital and Vancouver General Hospital in Vancouver, Canada. Dr. Laksman’s areas of focus are atrial fibrillation, simple and complex ablation, device intervention, and cardiogenetics. 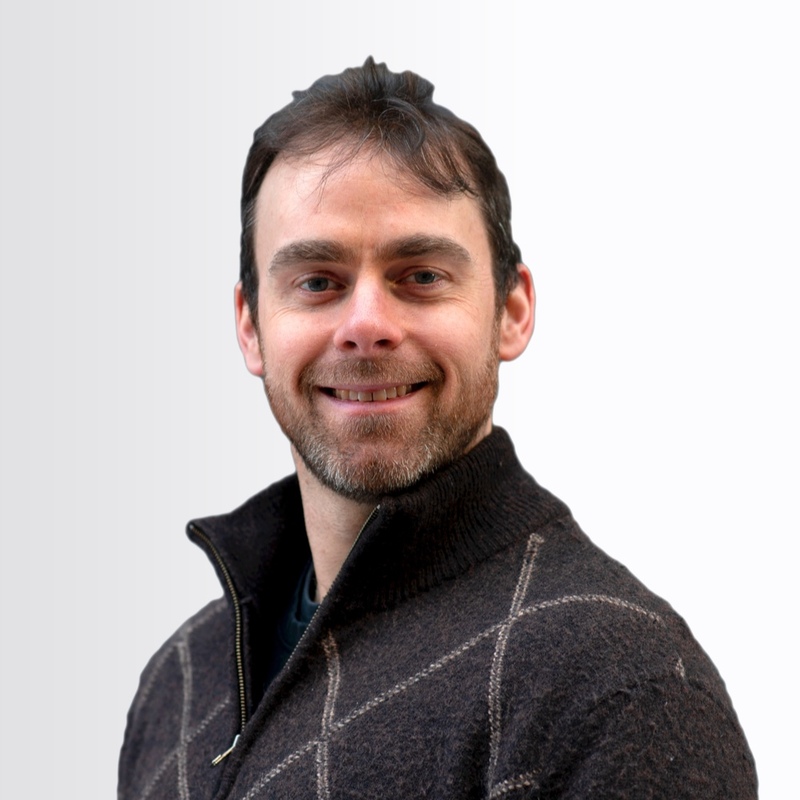 Dr. Laksman is a clinician scientist with academic appointments at the University of British Columbia and Simon Fraser University. Lisa Vaughan is a Statistician in the Division of Biomedical Statistics and Informatics at the Mayo Clinic. She collaborates with the Division of Nephrology and Hypertension and the Division of Obstetrics and Gynecology. 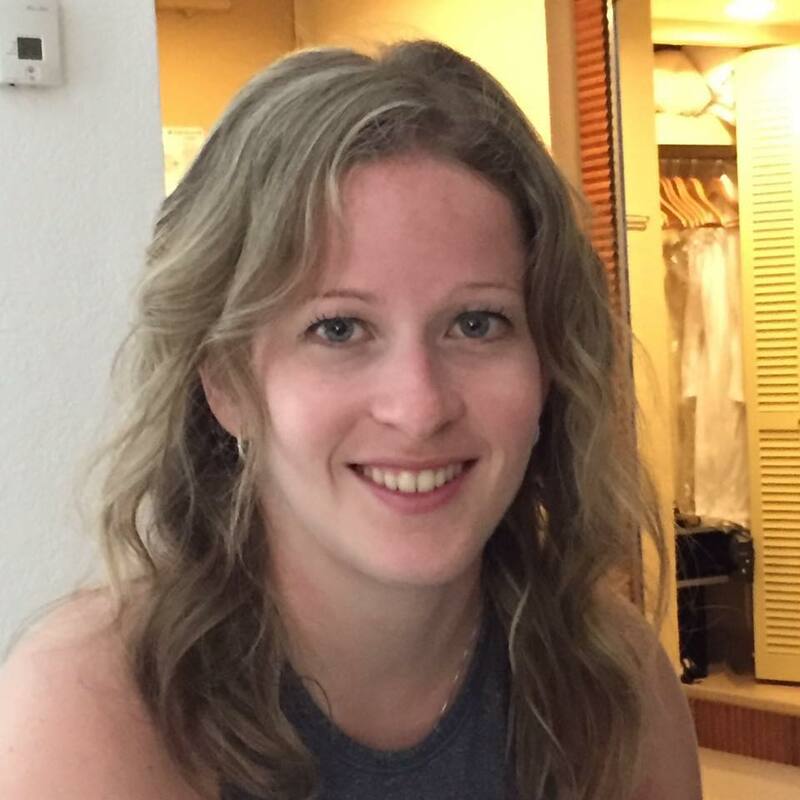 Riley is a resident physician in the UBC FRCPC Emergency Medicine program, based primarily out of Royal Columbian Hospital, New Westminster, British Columbia. His interests include ED quality improvement, knowledge translation, and point-of-care technology to improve evidence-based decision making. Dr. Barbour completed his internal medicine and nephrology training at the University of British Columbia in 2010. He subsequently did a three-year glomerulonephritis fellowship and Master of Science in clinical epidemiology at the University of Toronto. As of July 2013, He is an Assistant Professor with the UBC Division of Nephrology, with a clinical and research focus on glomerular diseases. He is the Medical Lead and Chair of the BC Provincial Renal Agency Glomerulonephritis Committee and GN Registry. Through these positions, He is responsible for health policy and health services related to glomerular diseases in BC. 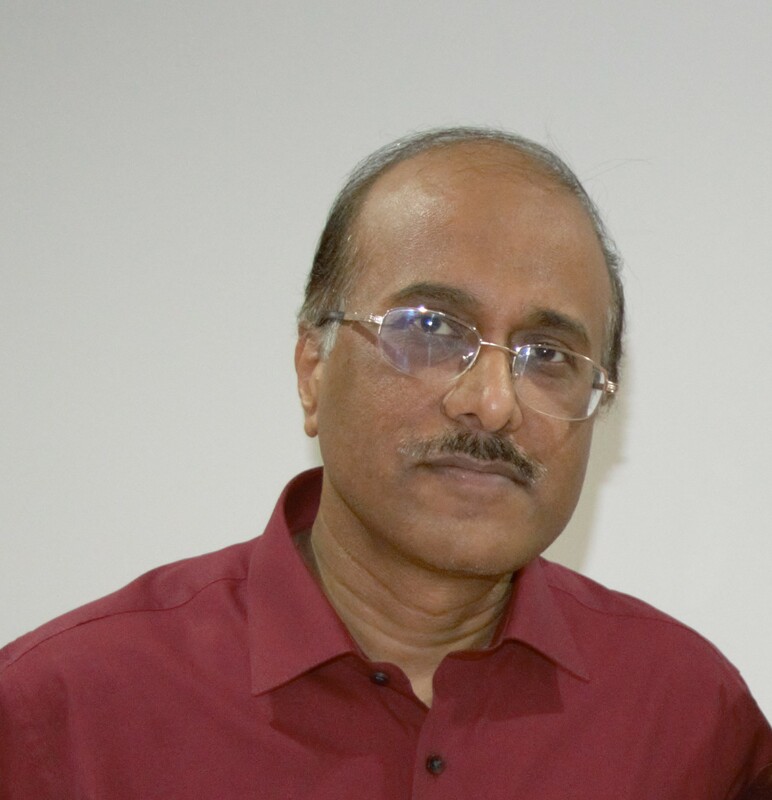 His research focus is on clinical trials, health outcomes and health services delivery in glomerulonephritis, and using prediction modeling techniques to improve risk stratification in glomerular diseases. He holds multiple peer-reviewed grants, including from the Michael Smith Foundation for Health Research, the Kidney Foundation of Canada, and the Canadian Institutes of Health Research. 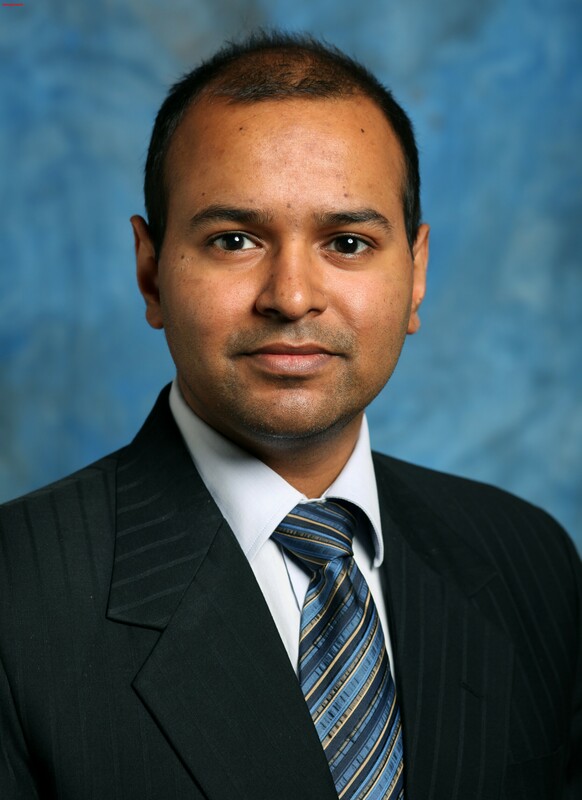 Dr. Viren Kaul is a Pulmonary and Critical Care Medicine fellow based in New York City. His academic interests lie in Interventional Pulmonology and pleural diseases. He is keenly interested in quality improvement research as well as medical education. He believes the path forward for medicine lies in passionate clinical educators and he sees himself at an academic institution, closely involved in teaching students, residents and fellows. When not at work, he enjoys spending time with his wife, Lauren and two pups. They can often be found exploring New York City on foot. A recent Rangers fan (despite the playoffs performance), he can be heard singing the goal chant during the hockey season with his friends and colleagues! decision science at Massachusetts General Hospital and also completed a Master’s degree in Public Health at the Harvard T.H. Chan School of Public Health. 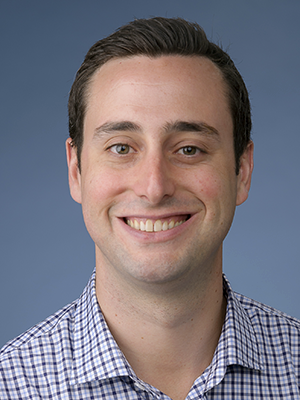 Ben is also a health services researcher, decision-analytic modeler, and health economist; he previously served as a co-editor of Value in Health and is currently on the editorial board of Pharmacoeconomics. He is particularly interested in cardiovascular diseases and their prevention, antimicrobial prescribing, rare diseases and diagnostic dilemmas across medical sub-specialties. Dr Deepak Chandra is a Consultant Haematologist and Director of the Staffordshire Thrombosis and Anticoagulation Centre. His interests include haemostasis and thrombosis as well as immune thrombocytopenia. His professional roles include guidelines author, researcher and Royal College examiner. Chan Kruse graduated from Engineering Physics at the University of British Columbia. However, his true passion for design and creativity has propelled him to lead the user interface and user experience teams at QxMD. His goal is to create clean and elegant solutions to help healthcare professionals with their daily practice. When he’s not at work, you can find him exploring the beautiful trails on Vancouver’s North Shore. 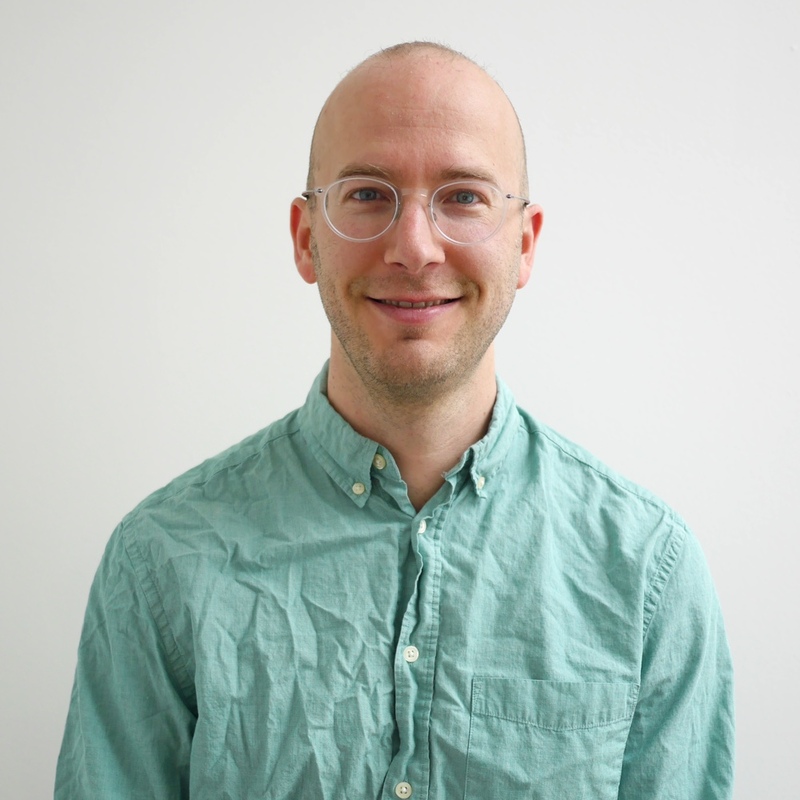 Dr. Daniel Schwartz is a clinical assistant professor at the University of British Columbia and received his clinical training at the University of British Columbia and the University of Toronto. His clinical interests are focused on peritoneal dialysis and interventional nephrology. 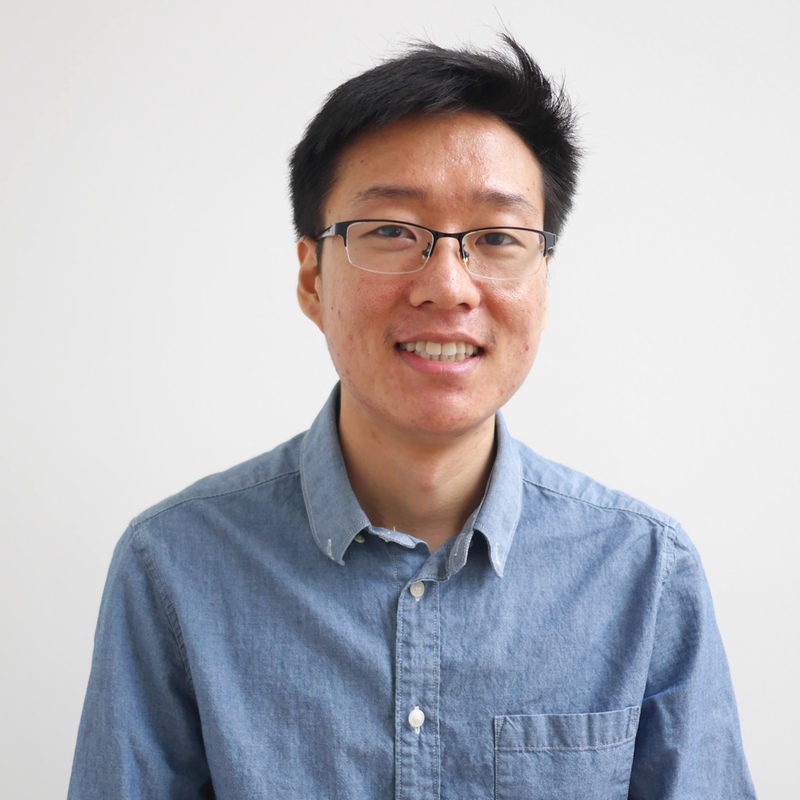 His keen interest in knowledge translation at the point of care and the intersection of information technology with clinical medicine led to him joining the founding team at QxMD. Dr. James Kempema serves as the Clinical Assistant Professor of Emergency Medicine for the University of Texas – Austin / Dell Medical School, and is the EMS Director and a core faculty member of the University of Texas-Austin Dell Medical School Emergency Medicine Residency. He obtained a degree in Exercise Science at Calvin College, Masters of Science in Exercise Physiology at the University of Arizona and medical degree at the University of Arizona College of Medicine. He has been an attending physician at Dell / Seton Medical Center at the University of Texas and Dell Children’s Medical Center since 1999 and has been the Associate Medical Director for Dell / Seton UT Emergency Department since 2006. 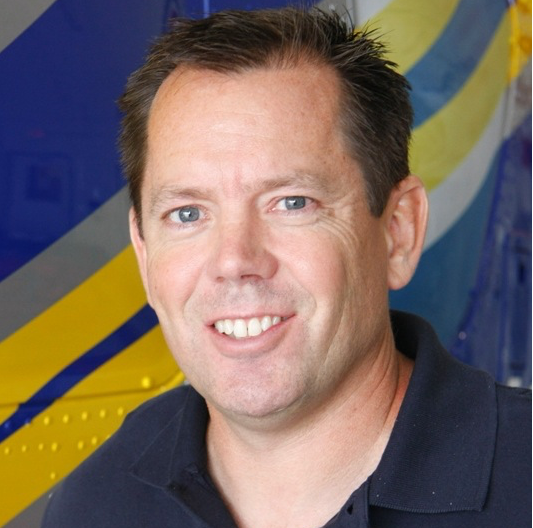 He is currently Medical Director for Travis County STAR Flight and an Associate Medical Director for the Austin / Travis County EMS System. Dr. Dimas Yusuf is an internist and budding medical oncologist who received his training at the University of British Columbia and Cross Cancer Institute. His clinical interests are focused on quality improvement and experimental therapies for cancer. His passion for using technology to improve healthcare was the inspiration behind his work at QxMD. 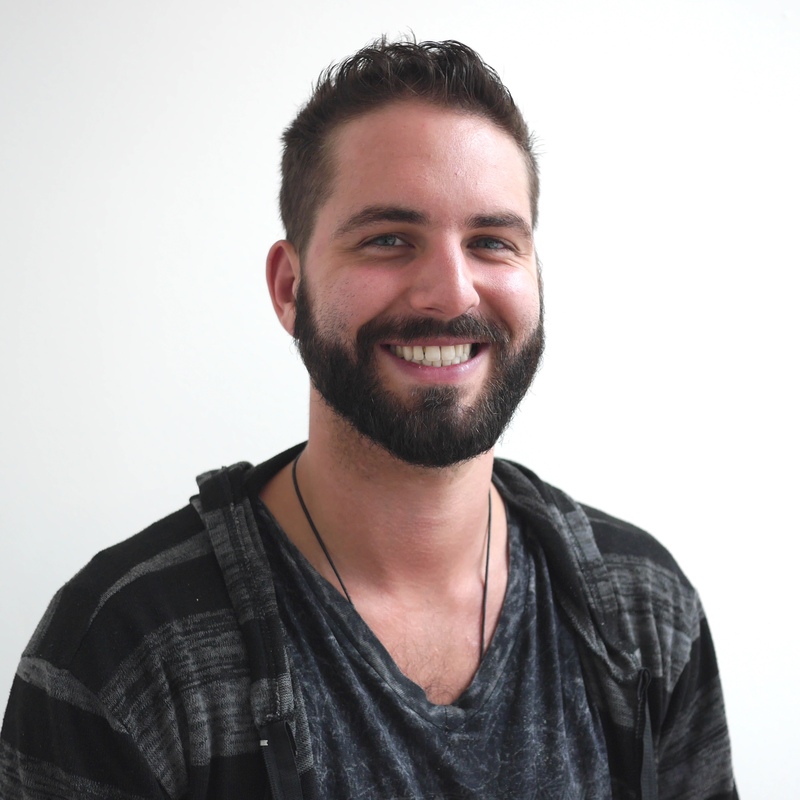 Jimmy comes from a digital marketing agency and sales background, and joined QxMD in 2016. 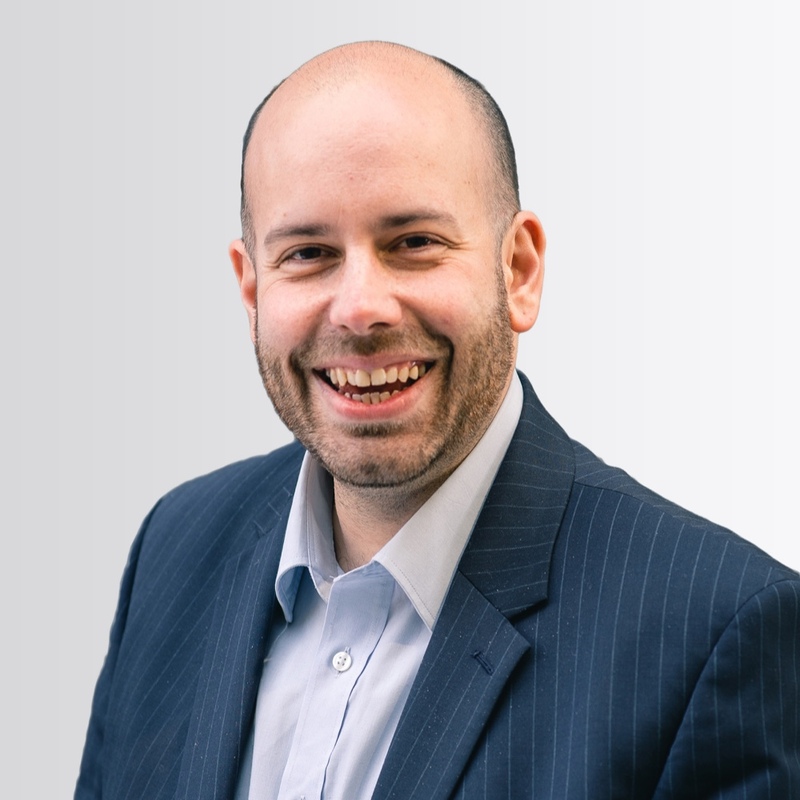 He is passionate about developing strategies that help us grow our community of healthcare professionals and helping our clients get the most out of our platform. In his spare time you can find him at one of British Columbia’s famous parks or beaches with his dog! 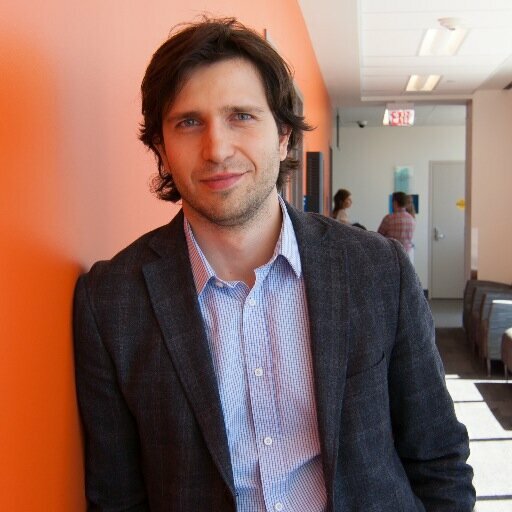 Stéphane studied at École des technologies supérieure Montréal where he received his Masters of Engineering in telecommunications. 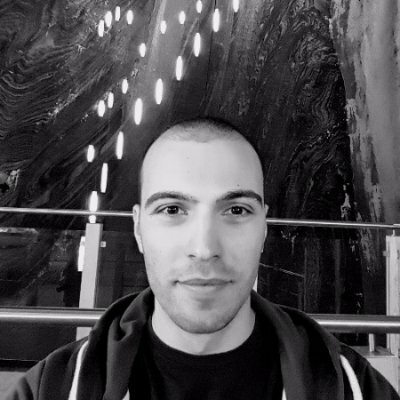 He joined the QxMD team and now leads server-side engineering at the company. You’ll catch him spending his free time doing CrossFit and running. Cabell joined the QxMD team in 2015 to help with development of Calculate by QxMD for Windows 10. Currently, Cabell leads development of the QxMD Analytics and Institutional Editions. If he’s not building something with NodeJS or Go, Cabell’s probably falling off a climb at a bouldering gym or being crossed up on a basketball court. 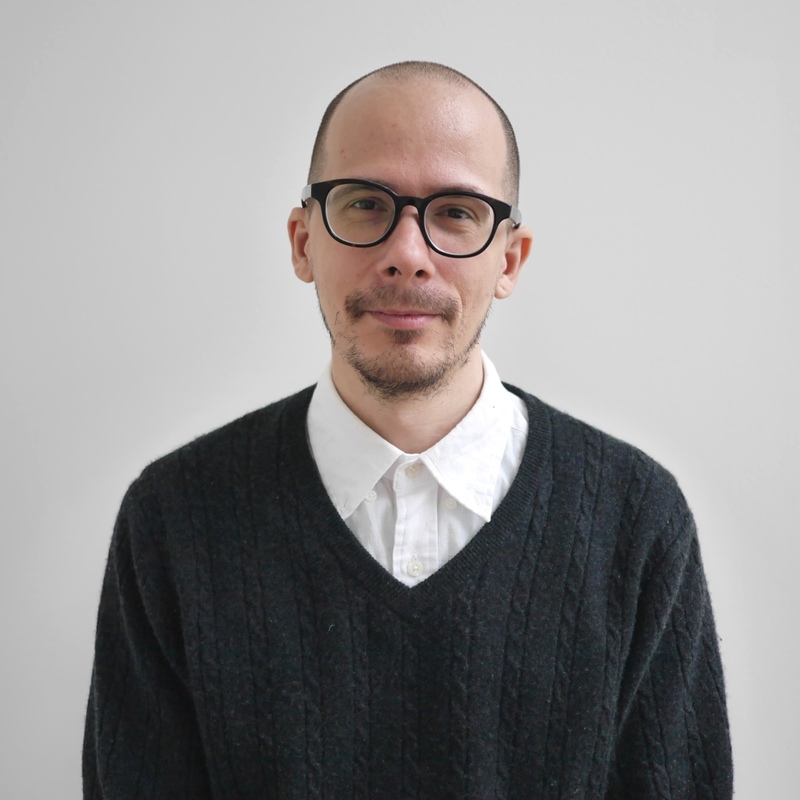 Cristian is a proficient software engineer with experience in back-end as well as front-end development, along with the occasional DevOps work. He loves making things scale and run fast & smooth. He is most likely found tending to a barbecue in his spare time. 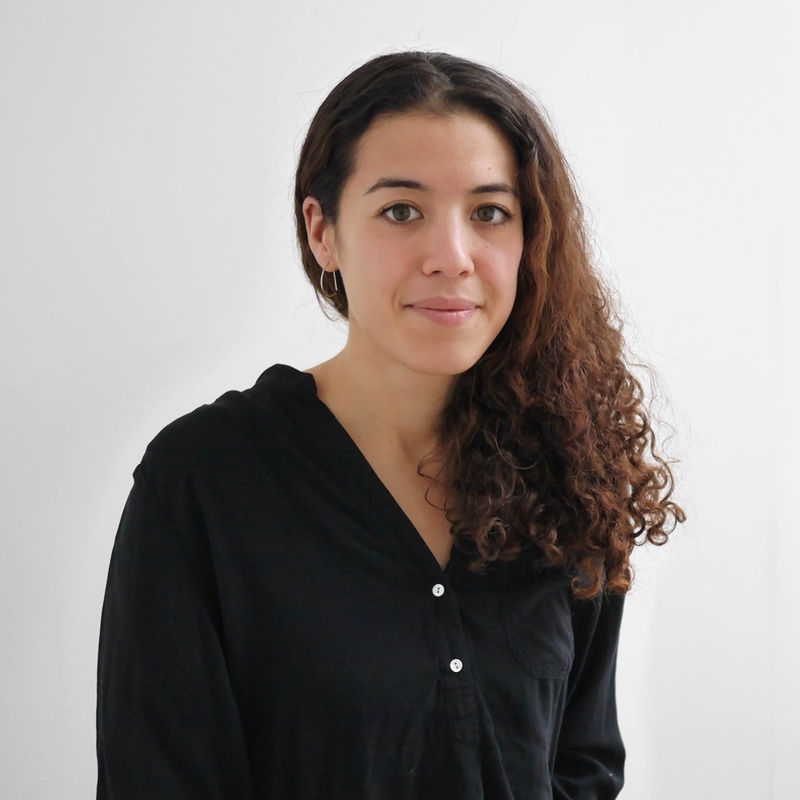 Emilie studied Interaction Design at Emily Carr University and used to work in Digital Design and UX design. She later discovered herself more passionate about what came after the design process — building websites and web applications. She has since been working as a Front-End developer which is always guided by her keen sense of quality design and usability. Outside the office she is tending to her backyard chickens, climbing mountains or exploring the Gulf Islands of BC. 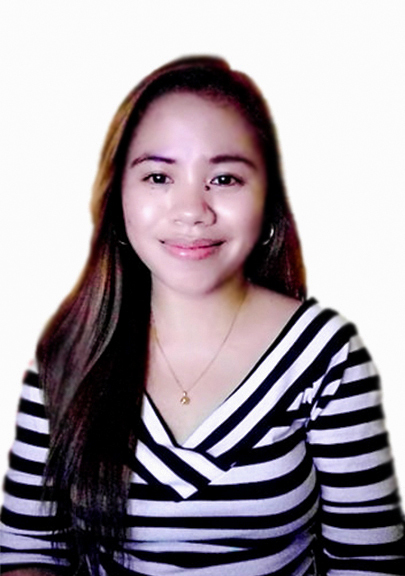 Grace obtained a Bachelor in Computer Technology and has been using her technological knowledge to excel in her digital marketing roles. She previously supported Nestle Merchandising in a marketing role but left the corporate world to explore new opportunities. 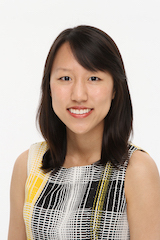 Grace has been thrilled to work with the QxMD team since 2016. 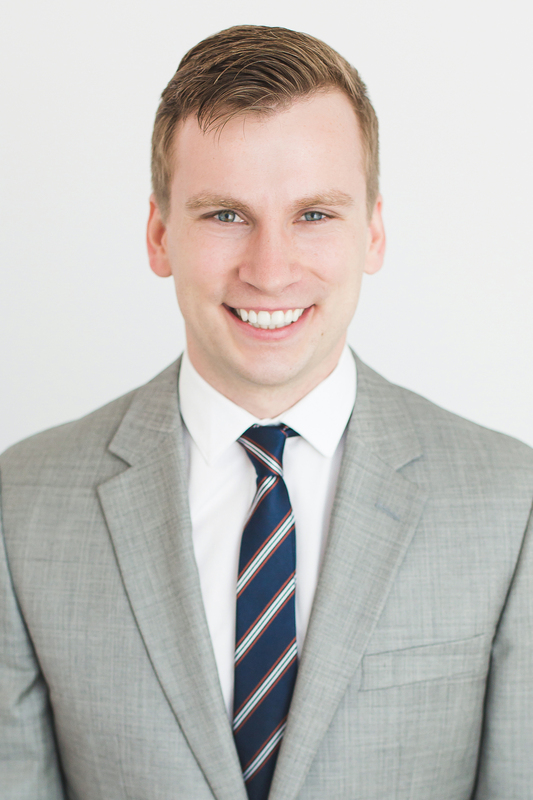 Darren studied Business Management at the University of British Columbia and has a background in management consulting. He is passionate about working with talented people to solve interesting problems. He is focused on helping our partners maximize their value from our platform and improving our internal processes. He is often found in the gym emulating Olympic weightlifters or out on the golf course on a sunny day. Nick hails from New Zealand but came to Vancouver in search of more snow for skiing, trails for running and mountains for hiking. 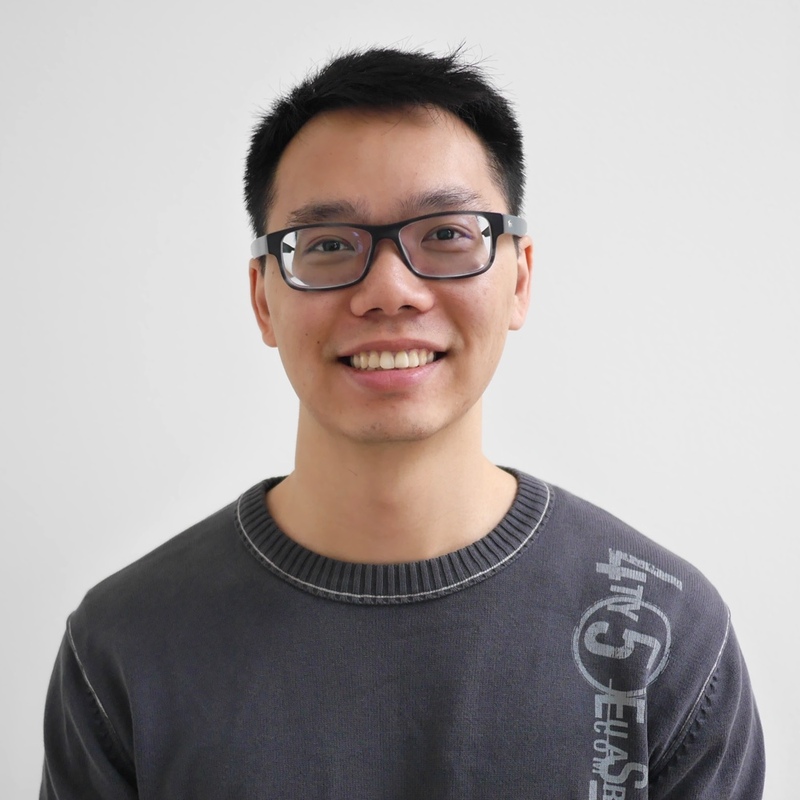 He has been working in the medical software industry since 2016 and joined QxMD in 2018. He is a jack-of-all-trades software developer, with a focus on cloud-hosted web applications. Nick enjoys solving business problems with elegant technology solutions. He holds a Computer Engineering degree from the University of Canterbury. During the past twenty years, Dmitri has built companies, products, and content that has found its way to tothousands of screens, pockets, and shelves. Today he is focusing on facilitating and creating beautiful, accessible experiences that matter using modern web technology. With his international background and a degree in political science from the University of British Columbia, Ken has been involved in various social entrepreneurial projects. He is passionate about project management, and solving issues through creative and innovative methods. In his free time you can catch him in the studio cooking up some beats or writing a verse. 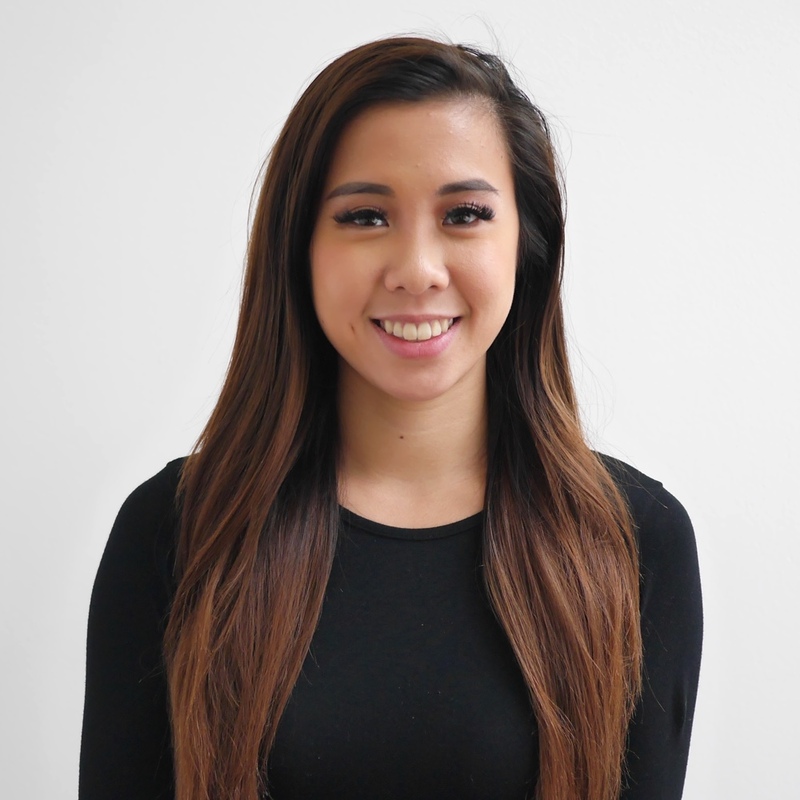 Natalie comes from a research oriented background and studied Interaction Design at Emily Carr University. User experience has allowed her to follow her passion for helping people through meaningful design. In her free time, you’ll find Natalie playing volleyball or doodling in her sketchbook. 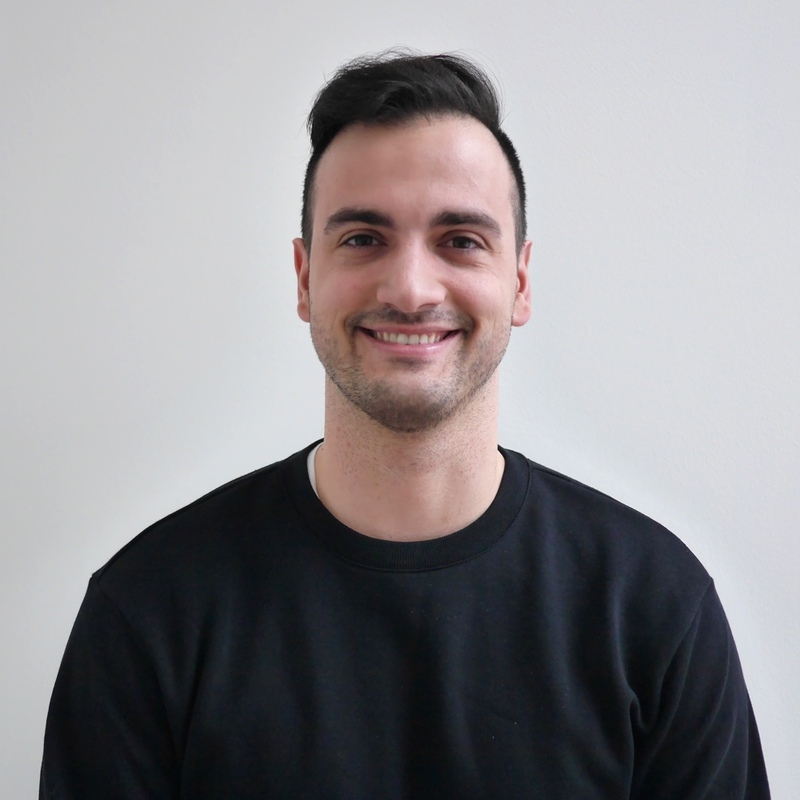 Alex has been part of the software industry ever since he graduated from UBC in 2016 with an MSc in Mathematics. He combines a mathematical point of view with skill in software development to build creative solutions to technical problems. Outside of work, Alex is a passionate Ballroom dancer who competes locally and internationally. 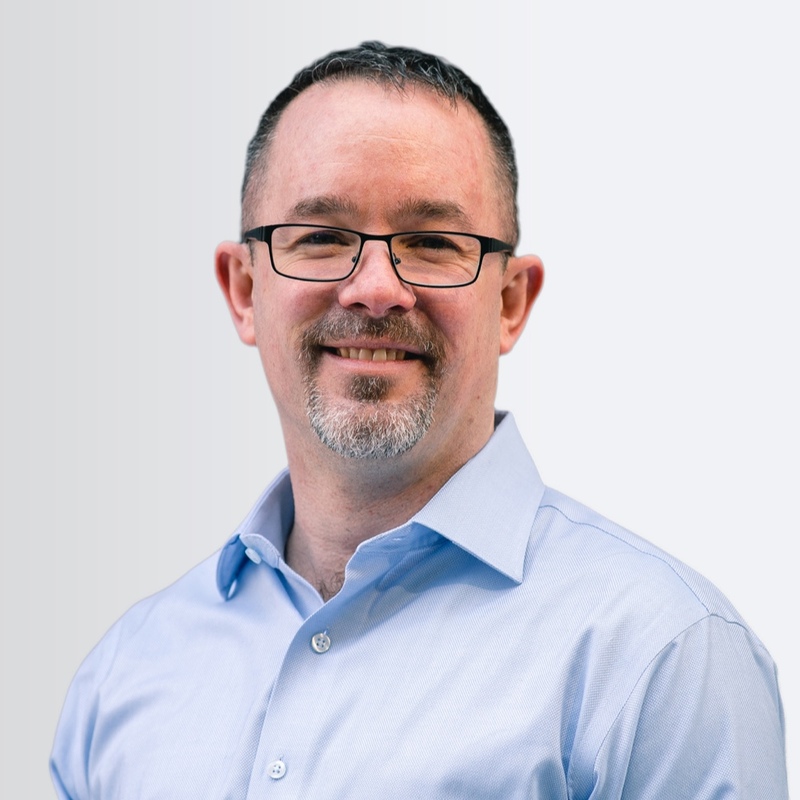 Ian joined QxMD in 2018 with the mission of helping pharmaceutical companies and scholarly publishers to benefit from content engagement programs powered by the QxMD platform. 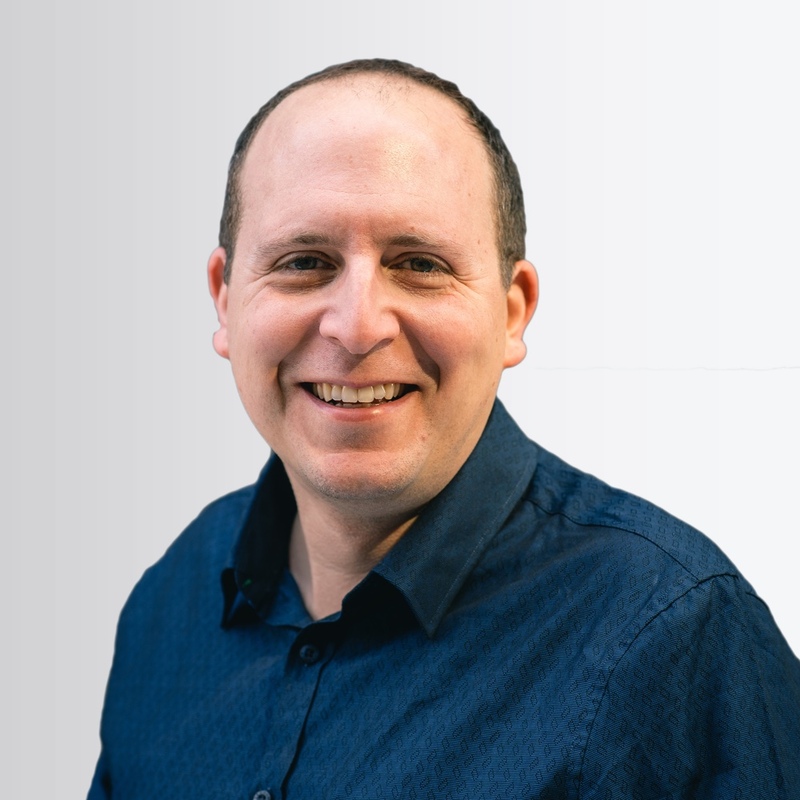 Ian brings deep expertise in STM publishing, pharmaceutical solutions and digital marketing. In his spare time, he enjoys sharing time with family and friends, reading, and enjoying blues and jazz music. 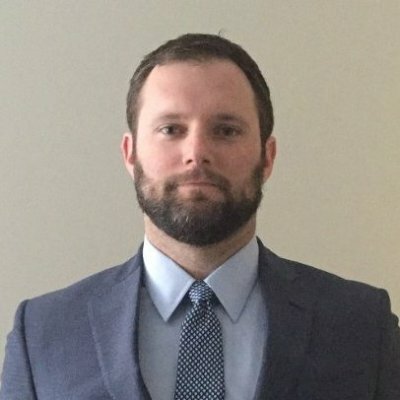 Pat joined QxMD in 2019 with the mission of helping promote disease state awareness among US and Canadian pharmaceutical companies powered by the QxMD platform. 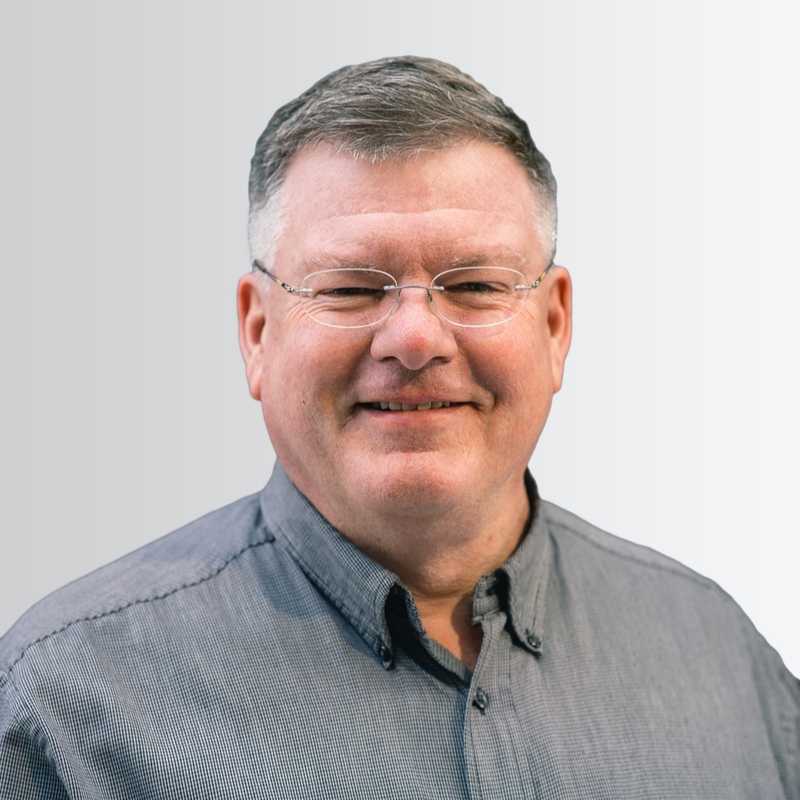 Pat brings broad experience with scientific research, medical communications, and HCP marketing. In his spare time, he enjoys growing award winning begonias, biking, cooking and jazz. 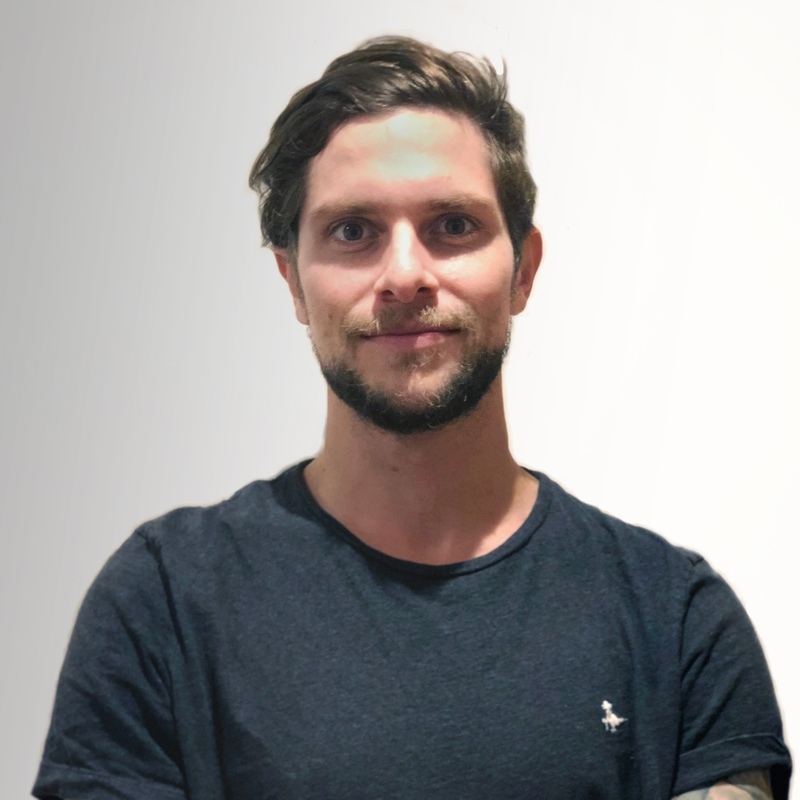 Matt joined QxMD in 2019, with a background in global healthcare professional marketing. Originally from the UK but now based in Madrid, outside of work Matt enjoys soaking up the Spanish sun, reading and football (soccer!). He holds degrees in Business Management and International Politics. Taylor is educated in many facets of what goes into making a great software product. Including, Web Development from Lighthouse Labs, UX Design from Brainstation, a current enrolment in Digital Marketing from RED Academy, and years of self-imposed study into cognitive psychology. 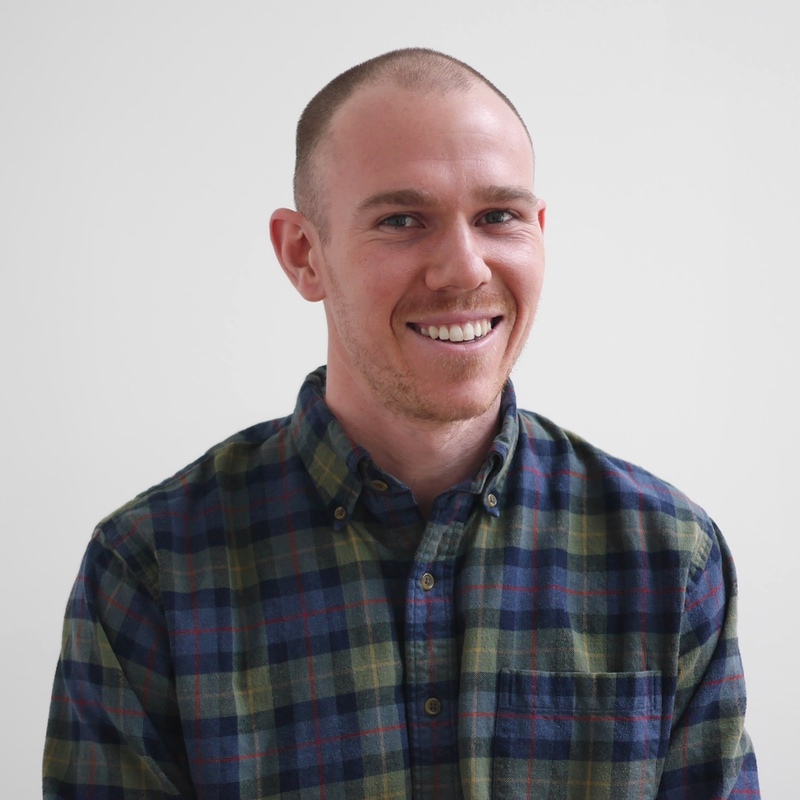 With a thirst for learning, Taylor applies his tools towards adding great front-end features across the QxMD landscape. Outside of work he enjoys the great outdoors, travel, yoga, and music festivals.